Welcome to The Quality Hotel Guide - your directory to great value hotels, ranging from the best budget and discount hotels to 5 star luxury across the UK. Our aim is to provide you with access to a great choice of high quality hotel accommodation all offering you great value for money. Choose from some superb range of hotel accommodation that is ideal for an overnight stay, short break, holiday or vacation. Whether you are looking for a room only, bed and breakfast or hotels with restaurants you are sure to find what you are looking for. You will some great discounted hotels across England, Scotland and Wales. However discounted does not mean poor quality, as you will still find a great choice of superb quality hotels that offer comfort and security at a budget price. You will find hotels to match all budgets with accommodation available on a room only basis or with full bed and breakfast. 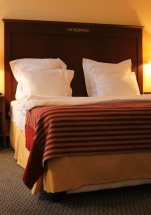 Our directory includes hotels that are perfect for a quick overnight stop for those travellers on route to their next destination for example. 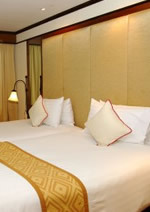 However, most of the hotels are also a great choice for a short break holiday or an even longer vacation. And with some discounts often available for a longer stay these can offer great value holidays. If you are looking for a little luxury on your short break, holiday or vacation then there we have a great range of hotels that offer luxuries including gyms, swimming pools and hot tubs. And, of course, you can also find 4 and 5 star rated rooms that offer that little bit extra including suites and balconies etc. If you can not find the hotel ou are looking for then check out some of our guest houses. Smaller, but not less quality, B&B and guest houses in the UK always offer a warm welcome and often feel like a home away from home. We work closely with a wide range of established holiday operators and some of the best independents to give you a superb range of hotels and bed and breakfast accommodation to choose from. Please note that we make every effort to ensure our accommodation listings are up to date and accurate but you should always check on the operator site prior to booking. If you would like to feature your hotel and bed & breakfast accommodation in this directory please click here. AND, you will also have the opportunity to appear in our other directories including The Bed and Breakfast Guide, British Bed Breakfast, Go Surfing, Find Golf Holidays and Find Fishing Holidays for no extra cost. If your accommodation is already appearing in our listings and you would like to update it, please contact us.